A new program aims to boost women’s careers so they can get to the executive level of companies and boards. The case for having more female representation in the workplace—particularly at the executive level—is strong. An even gender split at one company contributed to a 41% increase in revenue. Research from Catalyst demonstrates that companies with higher female representation in top management outperform those that don’t by delivering 34% greater returns to shareholders. Another report revealed women-led companies perform three times better than the S&P 500. We also know that both men and women share the same skills that drive business. Yet the recent McKinsey/LeanIn.org study found that from entry level to manager and from SVP to executive rank, women are less likely to advance. The greatest disparity occurs between the move from manager to director: There is a 79% chance that women managers will reach director level, compared to 100% chance for men in the study. The reasons for this disparity range from unconscious bias beginning with the hiring process to women being cautious about promotions, even sexual harassment. One group of women aims to break that glass ceiling by helping each other become leaders. 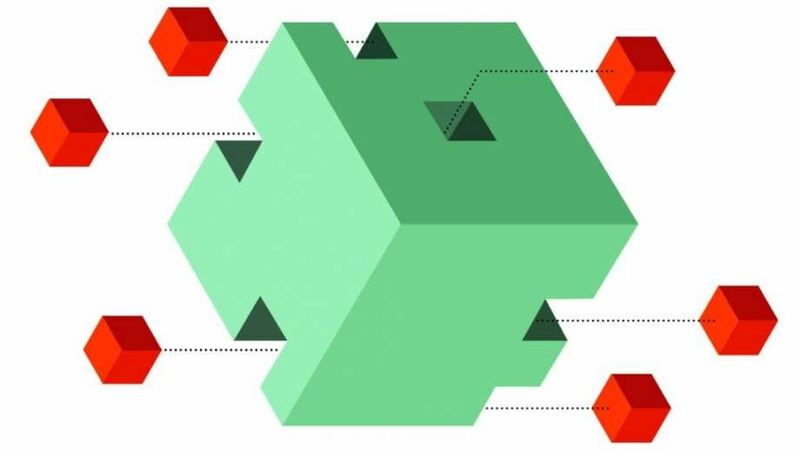 Founded in 2013, The CLUB (an acronym for Connect, Lead, Unite, Build) is a diverse community of professional women with over 200 members. Membership is by application and the CLUB also offers networking and member-led skills development and other programming relevant to career advancement. Laraine McKinnon joined the CLUB in its early days. “I was interested in networking,” McKinnon says. She says she was drawn in by what the name stood for and the inclusiveness of the membership. McKinnon soon discovered that even with the CLUB’s focus on career development and leadership, something was missing. Among the women who developed expertise in their fields, many had access to training and leadership development within their organizations. What they didn’t have, according to McKinnon, was the chance to develop their own personal brand outside their workplace. “Women keep their heads down [at work],” she says. While they often get great reviews, she explains, “They look up one day and say ‘I’m not being recognized the way I ought to be.’” In an era of social media platforms that can showcase what an individual has accomplished and their viewpoints on industry trends, McKinnon believes there is a big opportunity for women to become known for their personal expertise. So she started the CLUB’s Incubator in 2015. McKinnon describes it as an advocacy program designed to help senior leaders accelerate both their careers and personal potential by focusing on community, network, and board readiness, among other areas. McKinnon says there is an aspect of accountability for progress and members are encouraged to engage in discussions on how best to manage challenges. The first class had seven incubees from companies such as Apple, Facebook, Tesla, and Adobe. Seeing the response from women at these top firms, McKinnon says, “I knew I was onto something.” A new class began recently with 10 new incubees. Overall, the group comes from a diverse set of backgrounds, ethnicities, companies, roles, and leadership styles. Their career tenure ranges from 10 to 35 years and they hold positions that span industries from litigator to full stack developer, rocket scientist to entrepreneur and marketing executive. Last year’s group has cited benefits from assistance with the creation of their public profile, to gaining confidence to grow professionally and having a better roadmap to get there. Others said they were able to leverage their newfound knowledge to get a promotion or an advisory role. The new group is winning awards and snagging coveted speaking engagements. McKinnon points out that Megan Jones, a partner at the firm Hausfeld, was even selected to attend the United State of Women Summit at the White House. In a blog post, another incubee, Olga Mack, also in the legal profession, went from viewing gender inequality as a “hurdle that I could overcome over time if I tried a little harder,” to a radical shift toward action. Yet gender isn’t always the first point of discussion, McKinnon underscores. “When I am coaching women, I am reminding them that first, they are a leader and they have a style.” She does say that some women feel that their leadership style is informed by gender, but their credentials stand apart from that. “For Silicon Valley in particular, bright talent is important,” she notes. It helps, says McKinnon, that people are starting to recognize the diverse teams tend to be more successful. For her part, she doesn’t think changing the ratio of female representation in leadership will take as long as closing the gender wage gap. Silicon Valley is not exactly known for its diversity. So when Andreessen Horowitz, the venture capital firm, wanted to make sure its job postings were reaching the most diverse audience possible, its partners did what most people in Silicon Valley do when they spot a problem. They turned to software. They used programs that analyze the language in job descriptions to catch phrases that might turn off certain types of applicants. Looking for a candidate who is “off the charts”? Chances are, not that many women will apply. It is an example of many homegrown efforts across the Valley to change the face of the tech industry. There have always been big organizations hosting conferences and networking events for women. But newer efforts are springing up from inside companies. The Club is an application-only group trying to provide an alternative to golf courses and men’s membership clubs by coaching women leaders in Silicon Valley. It was founded by Annie Rogaski, a partner at Kilpatrick Townsend, a Valley law firm. Rachel Sklar, who started a group called Change the Ratio, is introducing an organization called The List where members who pay have access to other women for advice, financing and conference speaking gigs. “It’s to achieve the function of the classic old boys’ club, which funnels very easy advice and access and opportunity,” Ms. Sklar said. At Andreessen Horowitz, the firm asks real people, not just software, to review all job descriptions, too — so in addition to the hiring manager, people who are women, African American and from other minority groups in Silicon Valley have input. The firm also has a partner in charge of diversity who helps acquire a broad set of candidates for the firm’s talent agency, which its 200 portfolio companies tap for engineering and leadership roles. Despite those efforts, all of the firm’s investing partners are men. 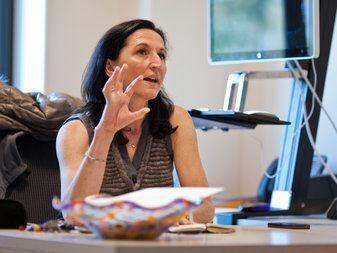 “There’s a huge talent war going on, so we are doing a lot of things to try to surface all kinds of diverse talent and bubble that up to our portfolio companies,” Ms. Wennmachers said. On the evening of October 9, 2013 over 100 Bay Area business leaders converged at the Quadrus Conference Center in Menlo Park to celebrate the one-year anniversary of The CLUB, a not-for-profit organization dedicated to helping women accelerate their leadership journeys and increasing the number of women in leadership positions. Since its founding in 2012 by five Bay Area women, The CLUB’s membership has grown to nearly 200 members and generated over $100,000 in funding including corporate sponsorships and in-kind donations. Members are established and emerging women leaders who hail from top Silicon Valley and San Francisco companies and reflect a wide spectrum of experience, professions and industries. Members leverage the expertise and networks of guest experts and other members to build strong leadership skills that they take back to provide more effective leadership at their companies. At the event, women’s leadership expert Lise Edwards, named one of the Silicon Valley Business Journal's Top 100 Women of Influence for 2013 and co-founder of GenderAllies, led CLUB members and guests through an exchange of practical ideas on how to increase women’s representation at all levels of leadership, and the CLUB’s specific role in narrowing the gender gap among business leaders. Rickey Stancliffe, CEO of Trombetta Family Wines, also shared the story of her rise to become one of the few women CEOs of a winery, and how she leveraged mentoring to reach the top of a male-dominated field. The CLUB’s philanthropic arm collected clothing donations for Career Closet, an organization that provides disadvantaged individuals with business attire and work experience. The event was sponsored by PricewaterhouseCoopers LLP (PwC), with additional in-kind contributions from Trombetta Family Wines. The CLUB welcomes emerging or established leaders in any stage of their career to apply for membership at http://www.theclubsv.org/join-2/. The CLUB is a diverse community of professional women helping each other accelerate their leadership journeys by providing a unique environment that offers the opportunity for women leaders across industries and career stages to connect in a supportive and intellectually challenging environment. CLUB members participate in formal training, informal gatherings, networking and mentorship. Members have opportunities to practice what they learn and receive live feedback in a supportive and intellectually challenging environment, taking their honed skills and deepened confidence back to the office to lead their teams, divisions and companies to new heights. The CLUB is a 501(c)(3) not-for-profit organization and is tax exempt under the Internal Revenue Code. Annie Rogaski, one of the few female partners at the elite law firm Kilpatrick Townsend in Silicon Valley, often represents tech companies headed exclusively by men. Despite working closely with the men over long periods of time, she also found that she's rarely invited to socialize with the team after work. "It was getting a little ridiculous," she says. "And at a certain point I just realized we, as women, had to get together and change something. And we had to make it big, expansive, more than just another 'women in patent law' conference." So Rogaski decided to shake up the Silicon Valley fraternity mind-set by starting her own women-only clubhouse. And she has executives from top companies like Salesforce.com, Hewlett-Packard and Adobe supporting her efforts. Her clubhouse, she says, will be very different from the white-gloved ladies' clubs of the past, like San Francisco's floral-print-heavy rooms at the venerable Francisca and Metropolitan clubs. There will be shared work space instead of tearooms, high-powered cocktail parties instead of leisurely luncheons. It will not feature the arcane secrecy of the Pacific-Union men's club or the cross-dressing antics of the bacchanalian Bohemian Grove. Admissions will be decided by ambition, not genetic lineage. "You don't have to have made it yet," says Rogaski, "but you need to be on that path." The first of its kind in Silicon Valley, her space will simply be called the Club - an acronym for Connect, Lead, Unite, Build. With its corporate slogan "An Incubator for Women Leaders," and an executive board made up of local leaders, Rogaski's endeavor is more strategic than simply creating another networking outlet. Her goal is to change one of the most daunting numbers in the tech world, she said, the fact that women make up only 6 percent of executive leadership in tech. The statistic, from the National Center for Women & Information Technology (a nonprofit organization supported by companies like Microsoft, Google, Bank of America and the National Science Foundation), is part of a broader picture that does not look as if it will improve soon. From 2000 to 2008, there has been a nearly 80 percent decline in the number of incoming undergraduate women interested in majoring in computer sciences. In 1991, women held 36 percent of all IT-related jobs; in 2008, that amount fell to 25 percent. "I never thought there would be a profession that is worse than Congress, but I think we found one," says Rep. Jackie Speier, 62, who started the Professional Business Women of California, which has held annual conferences with more than 3,000 attendees for the past 25 years. Speier often lunches at women's clubs, "but that was the way women gathered through the '50s, '60s and '70s. This new club will be similar but different. We don't have time for luncheons anymore, but we can get drinks after work. This is a new generation." Silicon Valley has had some mega-successful female stars like newly appointed Yahoo CEO Marissa Mayer and Facebook Chief Operating Officer Sheryl Sandberg, each of whom has spoken about being one of the few women to break through to the top of the tech world. "People ask me all the time, 'What's it like to be a woman at Google?' " Mayer said on CNN, before leaving her post there. "I'm not a woman at Google; I'm a geek at Google. And being a geek is just great." Sandberg began her career hoping to de-emphasize gender - until she realized how few women reached "the C level." Today, she has become one of the most visible and outspoken advocates for women in tech. Through representatives, both women declined to comment for this article. "We need to start talking about how women underestimate their abilities compared to men, and how for women, but not men, success and likability are negatively correlated," Sandberg said in a graduation speech at Harvard Business School in May. "We need to acknowledge openly that gender remains an issue at the highest levels of leadership. The promise of equality is not equality." 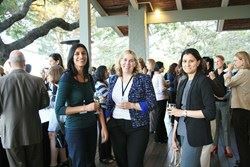 On a recent evening in Menlo Park's Quadrus Conference Center, set in an expansive office park off the highway, nearly 150 women gathered for the Club's official launch party. A table of name tags at the door showed a bevy of executive titles from Silicon Valley heavyweights - Samsung, Google, Visa, Facebook. Most of the attendees already knew each other from the myriad women-in-tech summits held in hotels. After about an hour of mingling and enjoying dim sum and cocktails, Rogaski got onstage and cued up a PowerPoint. "As women, we often get into the pattern that keeping your head down and doing good work is enough - it's not," she told the rapt crowd. "Success requires much more." When she finished, the women stood and gave a thunderous ovation. Other female executives stepped up to share their stories. Catherine Valentine, general counsel of Logitech and an industry veteran, talked about work-life balance: "I had to mold myself to male behaviors. And I consciously decided not to have children. You may think it has gotten better since then, but it hasn't." The room was quiet as Valentine paused, clearly teary-eyed. "We don't belong to a club or play golf. We don't have those systems, and we should," she said. "We need to support women in being women." Another major issue that needs to be addressed is the pay disparity among men and women in the industry, said Doris Pickering, who worked in product management for HP for 12 years. "I've been paid less than the men in my same job all the time," she said. "We've been talking about this for 30 years, and I'm sick of it." Silicon Valley, with a reputation for cutting-edge startups and a rebellious boyish culture, seems an unlikely place for business meetings on a golf course, but it is just as alive there as anywhere. "The golf club is so cliche. But it's exactly what you would imagine, a bunch of powerful men getting together on their own," says Mona Sabet, a corporate vice president at Cadence Design Systems in San Jose. "I suppose I could get an invitation if I asked, but I don't even want to. You'd think Silicon Valley would be different, like too edgy for the golf course. But it's not." The appeal of having a space of their own appealed to many attendees, including Kathi Lutton, part of the Forbes Most Powerful Women Network, who brought her grandmother to the event. "If the women in this room were part of a country club," she said, "I would have already joined it." Over the past few years, dozens of women's professional organizations have sprung up in Silicon Valley. There is WITI, WilPower, Levo League and Women 2.0. And while membership booms, gaining momentum and finding headquarters are a constant struggle. "Right now all of us meet either online or we rent conference centers - but our group keeps growing," says Radhika Emens, regional director of Silicon Valley's Women in Technology International, which has 140,000 members. "What Annie's doing is unique. They're going after real estate, they're going to buy and develop it. We want to be part of that." Emens, representing WITI's immense network, submitted her application - 15 short personal essays on her background, skills, ability and desire to mentor - for the Club that night. If accepted, she will pay $350 in annual dues, as have the other 50 members approved so far. The Club has also received "a significant and surprising" amount of funding, Rogaski said, but declined to give specific figures. In the weeks since the launch, five large companies have stepped forward as sponsors, including Rogaski's law firm, which also underwrote the launch party. "I'm proud of the firm's commitment to the Club and its goal of creating real leadership opportunities for women," said Paul Aguggia, chair of Kilpatrick Townsend. Deanna Graham, the market research group manager at Adobe, had reservations about joining a women-only club. Years ago, as a manager at Intuit, Graham was asked to lead a women's group, and she refused. "I didn't want to be pigeonholed," Graham, 46, says. "Now at this point in my career, I see the need to connect and mentor. And to have a club of our own. Having a physical space will indicate the seriousness and the stability." She pauses and smiles. "It should have a good entertaining flow, should be big enough for a great cocktail party. I mean, it really could be fun." It's this kind of attitude that makes Speier believe in the Club. "There are going to be women standing outside waiting in line to become members. I think there's a great hunger for this, and it needs to be sated."